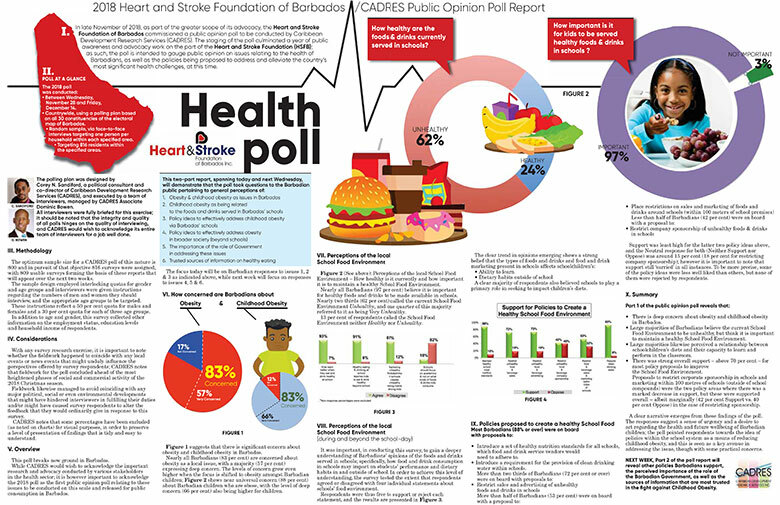 The Heart and Stroke Foundation of Barbados Inc. commissioned, an Obesity Opinion Poll, a first of its kind poll conducted by Caribbean Development Research Services (CADRES), which found that Barbadians are deeply concerned about Child Obesity. 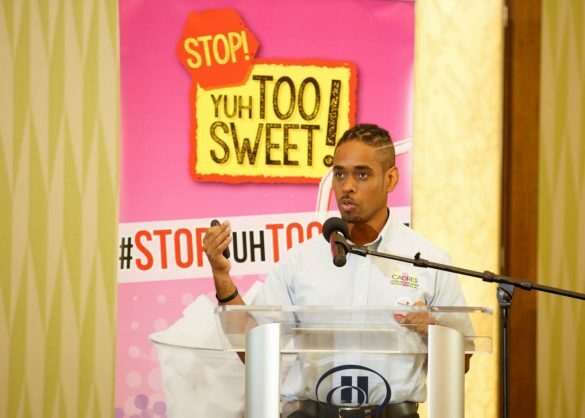 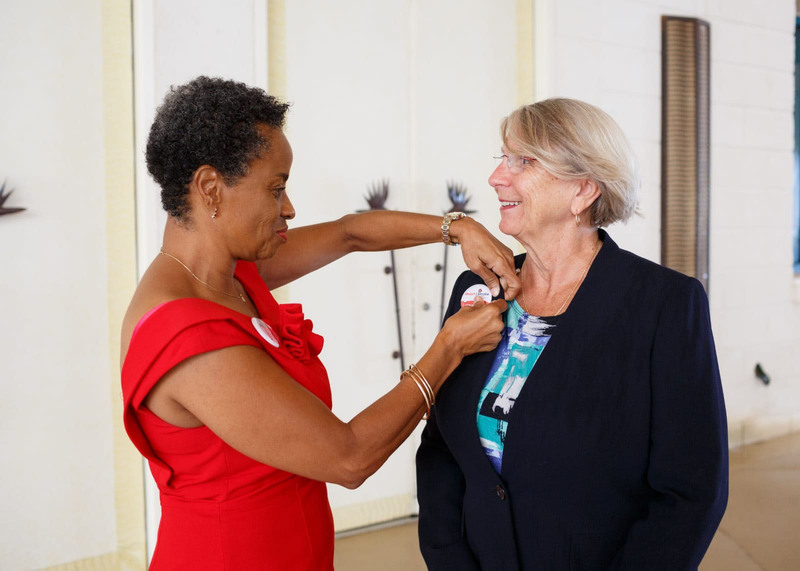 The findings were revealed as the Heart and Stroke Foundation, launched the poll of public concerns about obesity and the measures required to combat it, at the Barbados Hilton hotel on Tuesday March 12th. 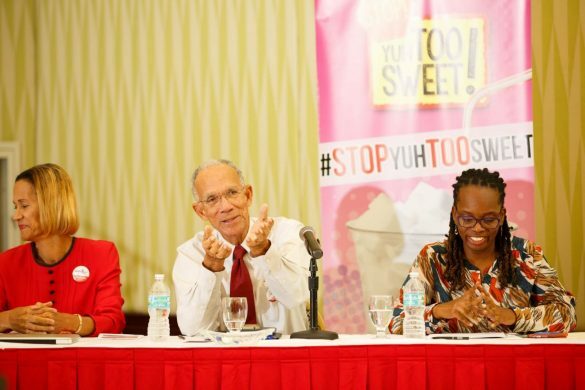 The public opinion poll garnered responses which suggest a sense of urgency and a desire to act, even if the actions proposed to drastically remove country and culture from some of the more familiar ways of eating and drinking.. 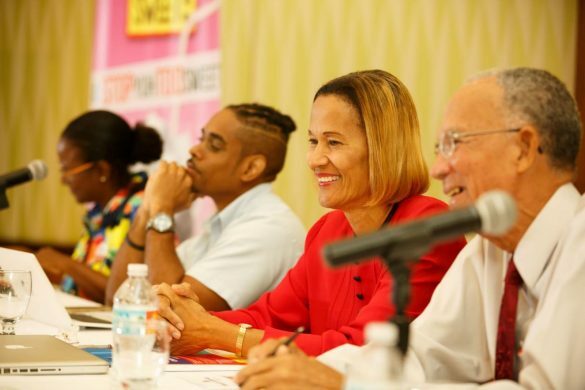 According to the research, Barbadians seem eager to learn more about reducing obesity and healthy lifestyles. 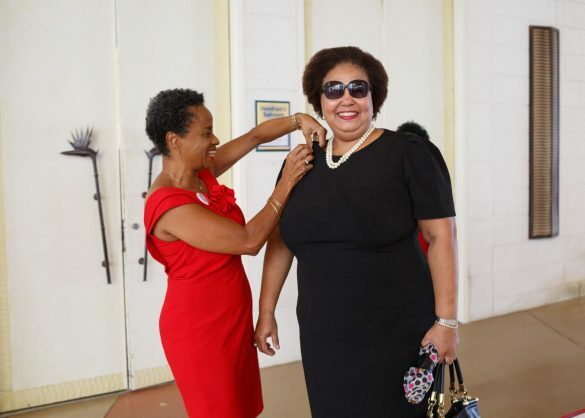 The Poll canvassing 816 persons, took place between November and December 2018 and covered all 30 constituencies of the electoral map of Barbados. 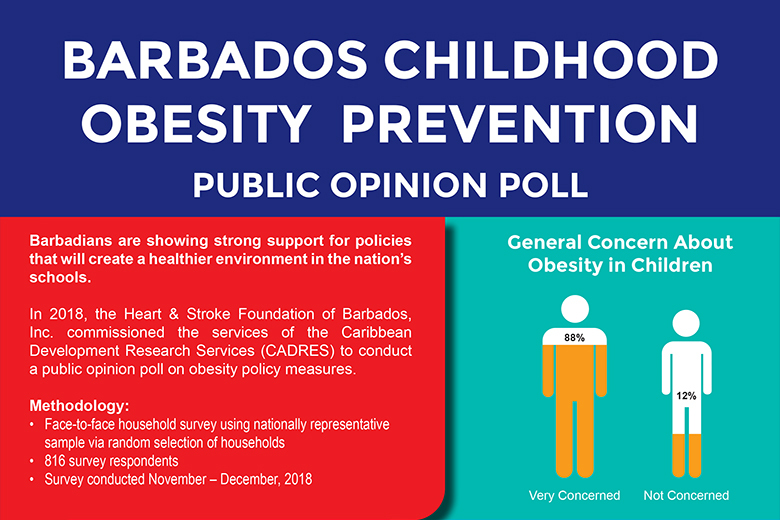 Barbadians are very concerned about obesity (83%) and childhood obesity (88%). The majority of Barbadians (97%) felt that it was important for children to have access to healthy food and drinks at school and large a number 62% felt that the current food environment in schools was not healthy. 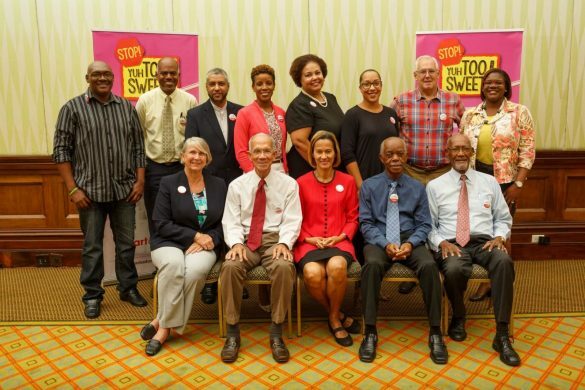 Barbadians are showing strong support for policies that will create a healthier environment in the nations schools. They support restricting the sale of unhealthy foods and beverage (72%) as well as the marketing/advertising of these unhealthy foods and beverages (72%) within the schools. 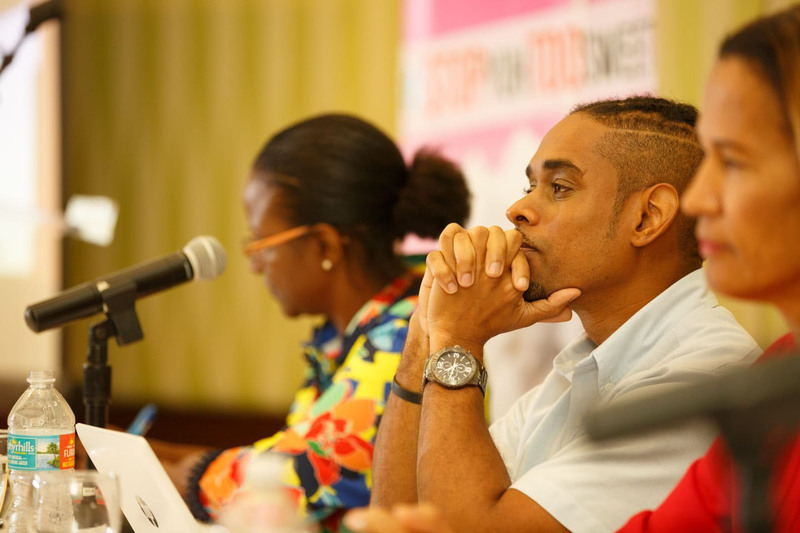 The majority of Barbadians (92%) support having National Policies/Guidelines to ensure a healthy school environment. 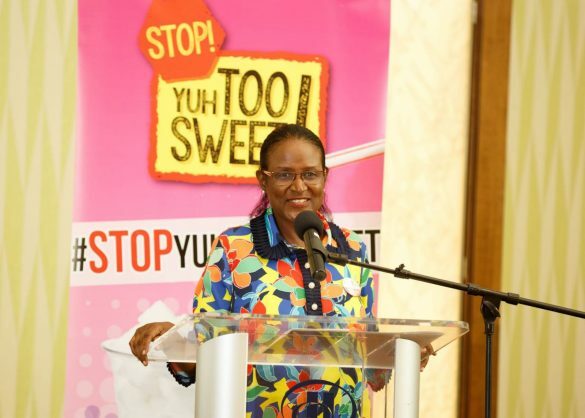 A significant number of Barbadians (78%) felt that it was important that government take steps to reduce Obesity and the related Non-Communicable Diseases (NCDs). There was also strong support for the introduction of Front of Package Warning Labels on food and beverages. See more images from the launch below.